Flooding in Paradise. Birds’ delight. Yesterday was a magnificent day. Wednesday’s rain event of the year was over. The sky was blue again, and everyone in the nature was happily active. And I mean just about everyone. 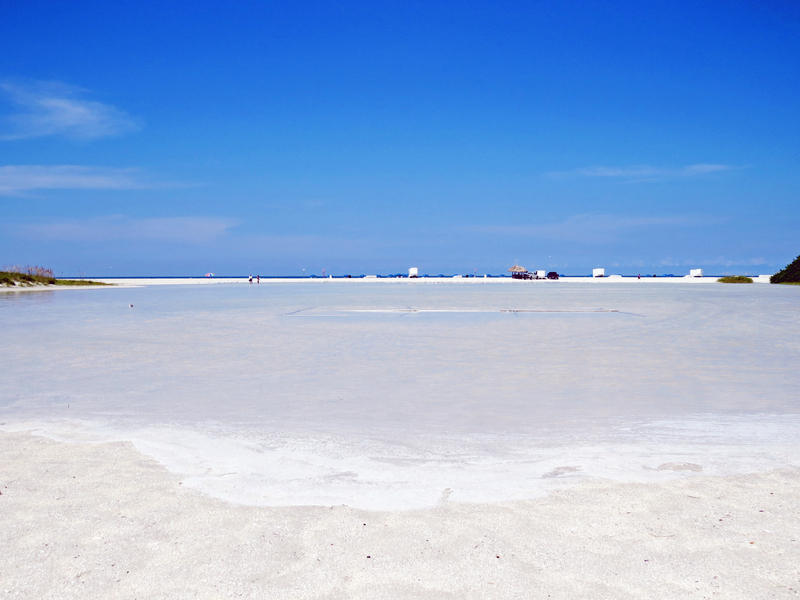 Public bath…in the brand new rainwater lake. 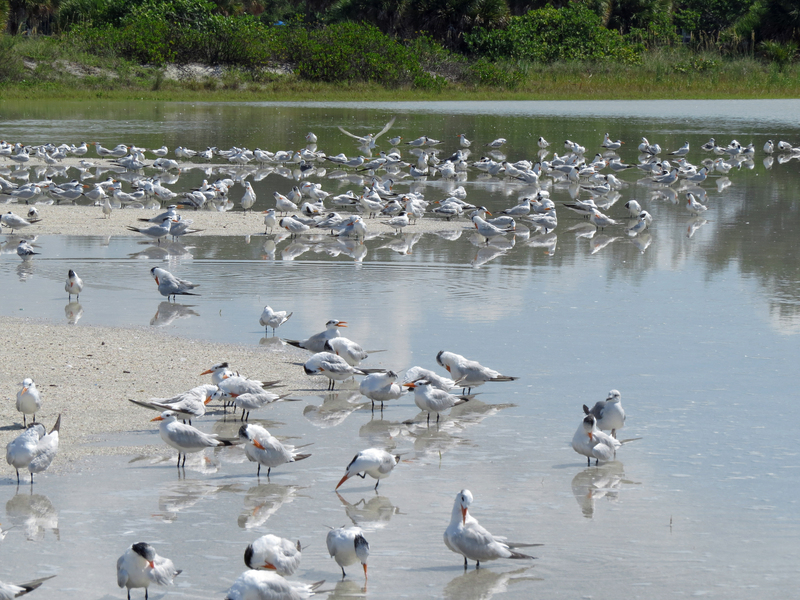 I went for a long walk on the flooded beach, where the gulls and the terns where taking a collective bath in the brand new rainwater lake. It was like a crowded salon spa. A place for everyone to be. 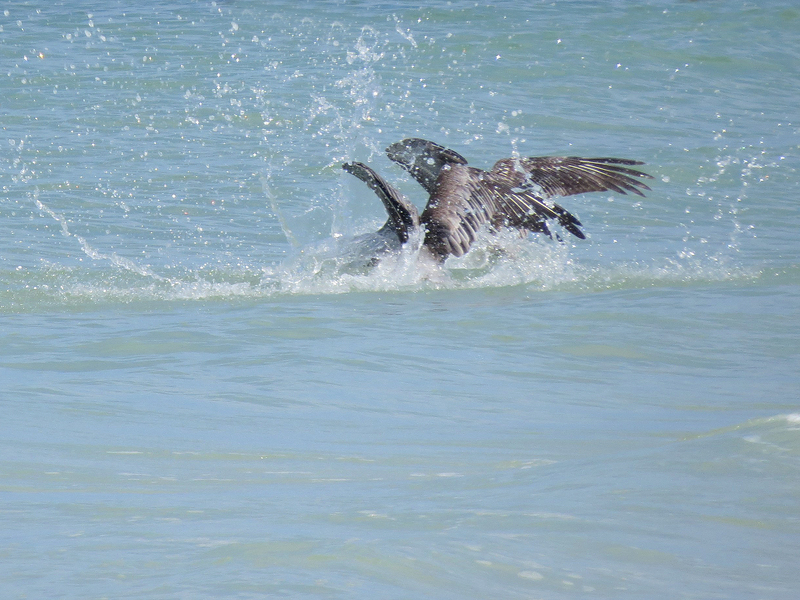 The pelicans were back on the beach too, practicing tandem flying and synchronized diving. 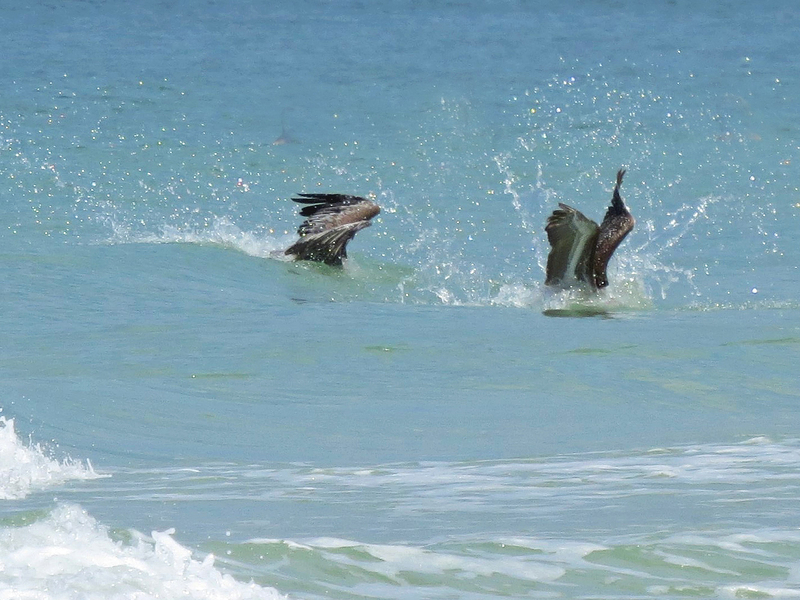 But I also witnessed them trying to catch the same fish. Not a recommended practice. Like in any competition, only one can win. Or perhaps the fish wins. Diving for the same fish? That’s exactly what happened. The fish was spared this time around. 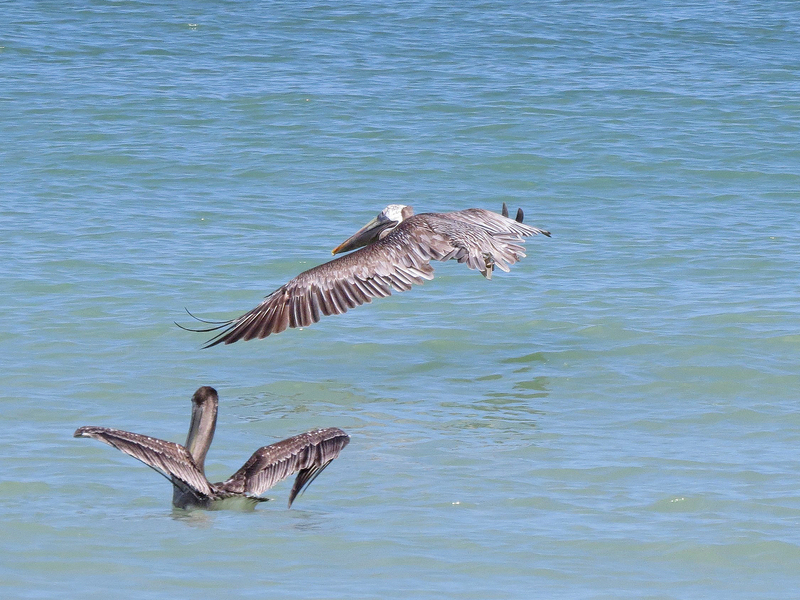 One of the pelicans was back up on his wings immediately, but the other one appeared a bit dazed for a while. I was curious to see what the torrential rains had done in the nature reserve and found a path to the park that didn’t require a kayak. 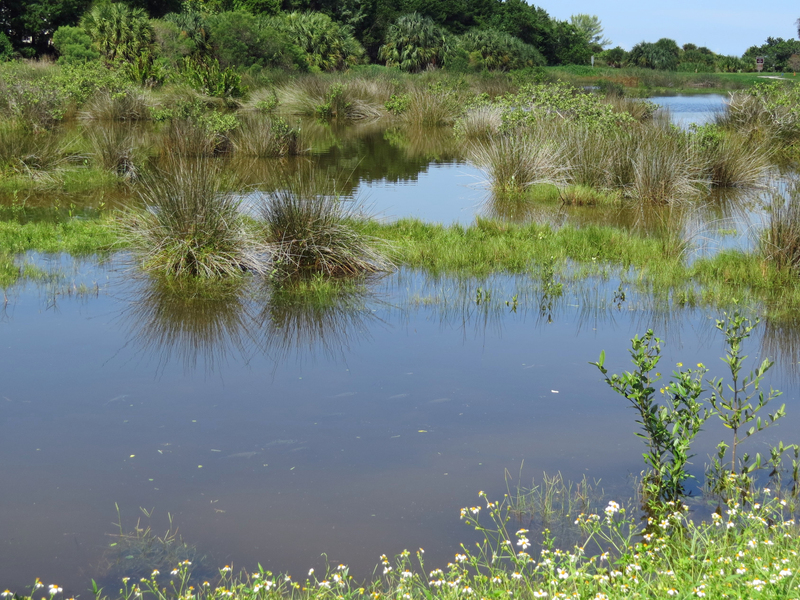 I immediately saw that the water level in the salt marsh was up by several inches. 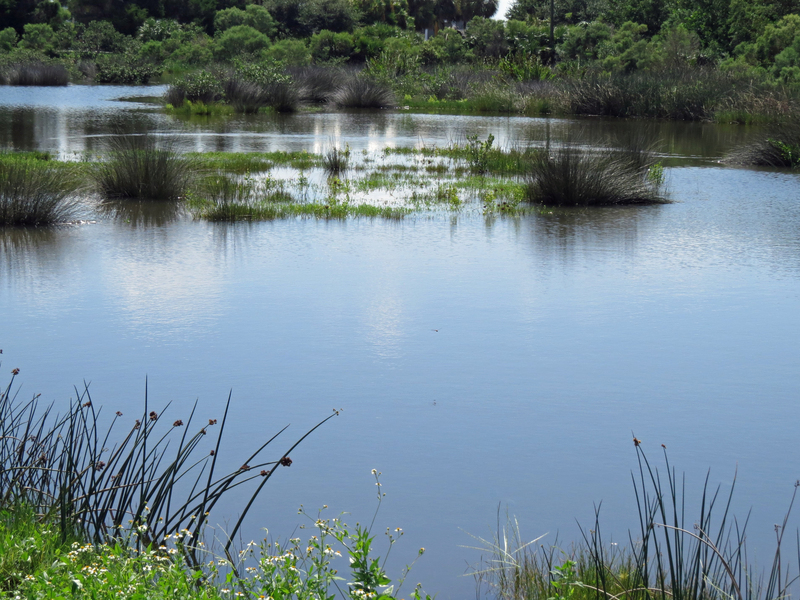 East end of the salt marsh…fish swimming in the previously very shallow water…and my usual photo spot is underwater too. It was lovely to see how the birds enjoyed the revitalized environment. They were out and about in big numbers! 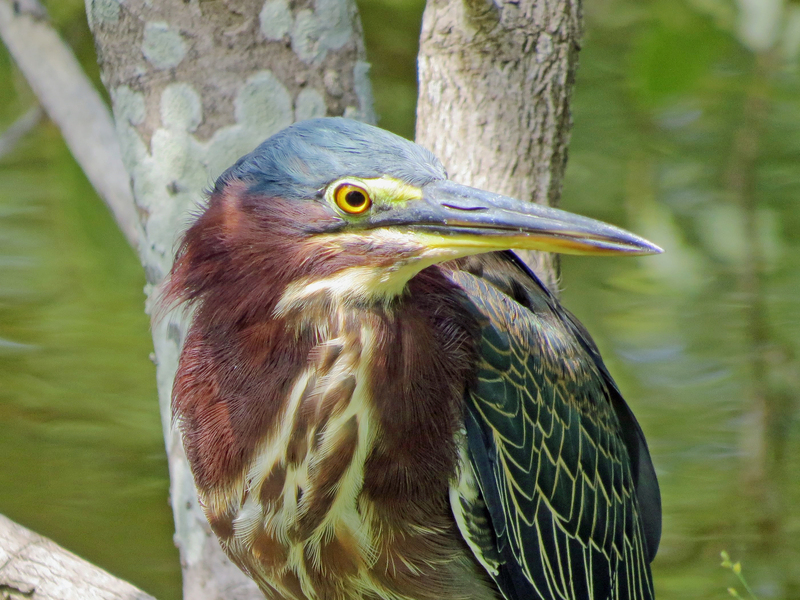 Mister Green Heron, whom I hadn’t spotted for quite a while was enjoying the great views. He was in such a good mood that he even posed for a portrait. 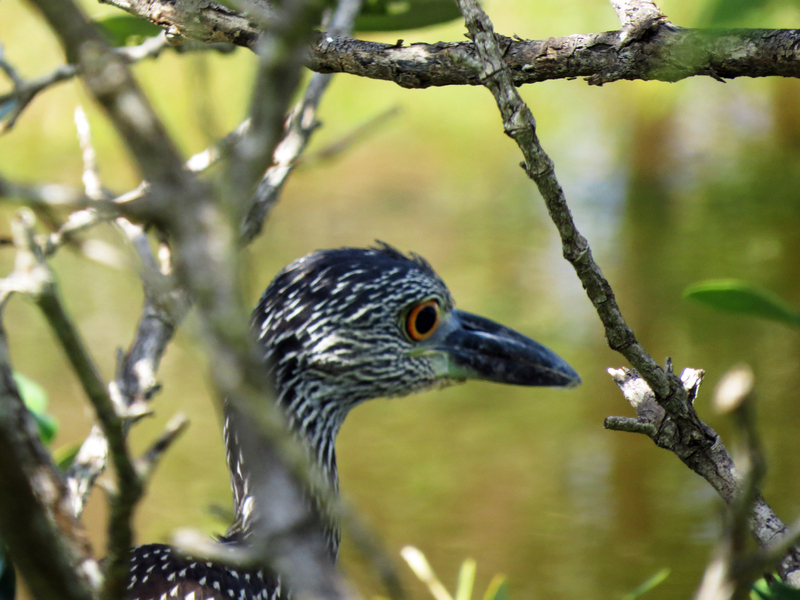 He shared the tree with a juvenile Yellow Crowned Night Heron, who was perfectly camouflaged between the branches. 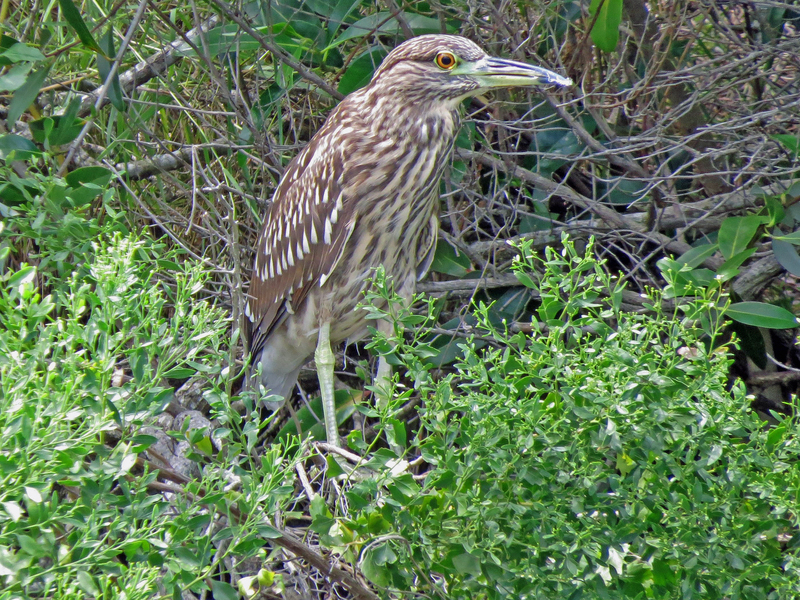 A little later I spotted her cousin, a juvenile Black Crowned Night Heron, at the other end of the marsh. 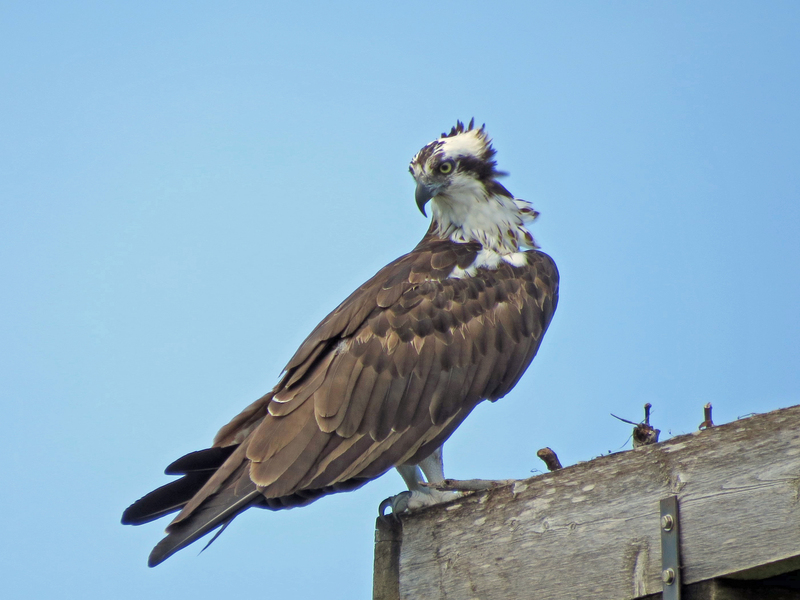 Papa Osprey was there too, at his nest like I’ve seen him every single day from my terrace, keeping an eye on the skies. What’s going on down there? 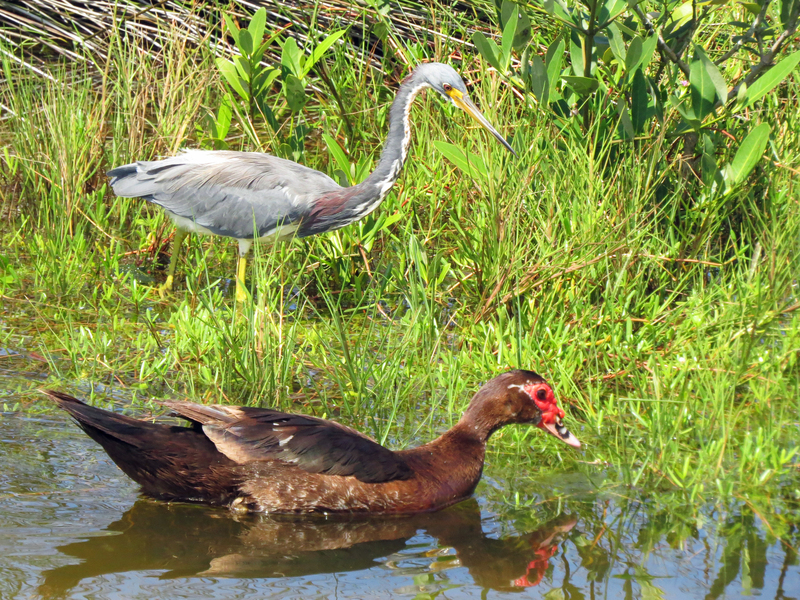 And the ground, where Tiny was waving to him, and where a Muscovy Duck and a Tricolored Heron were looking for food in the new shallows. After spending more than an hour with the birds, I decided to go home through the beach, taking a shortcut at the tree line. There was a small strip of sand free of water and I managed to walk dry-footed to the side of our garden, which is elevated several feet higher. But there I was trapped by a new four-foot wide “river” and my shortcut became a longish detour instead. 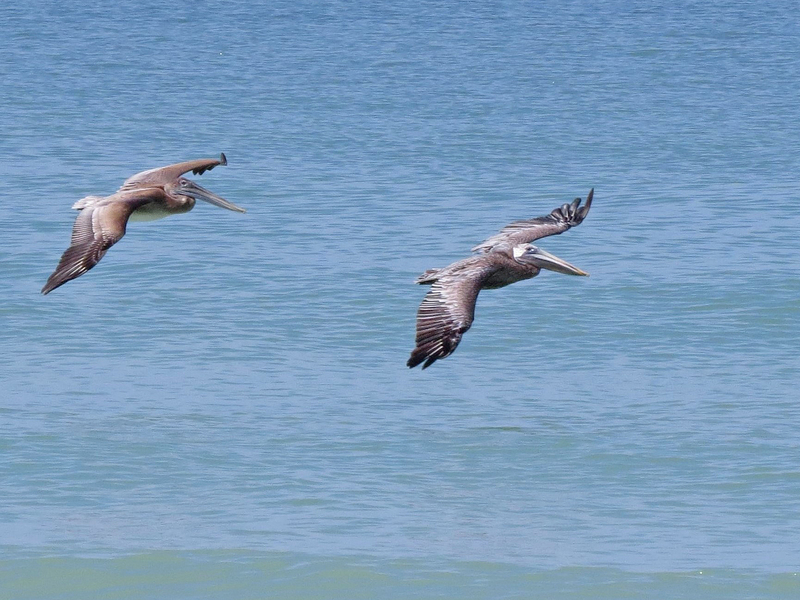 The synchronized dive shot – beautiful timing and capture. 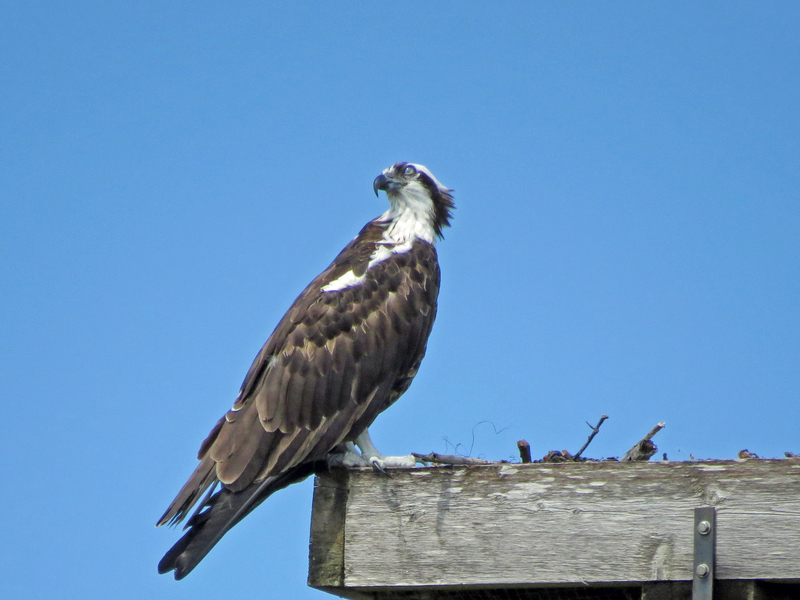 And as always, great photos of Papa Osprey. Thanks Bob! I’ve not seen the birds so active for several weeks. I guess the summer heat made them want to hide…and now we’re going towards more pleasant temperatures. Thanks for coming along Gallivanta! The birds seemed to really enjoy the higher water levels and the fresh air. 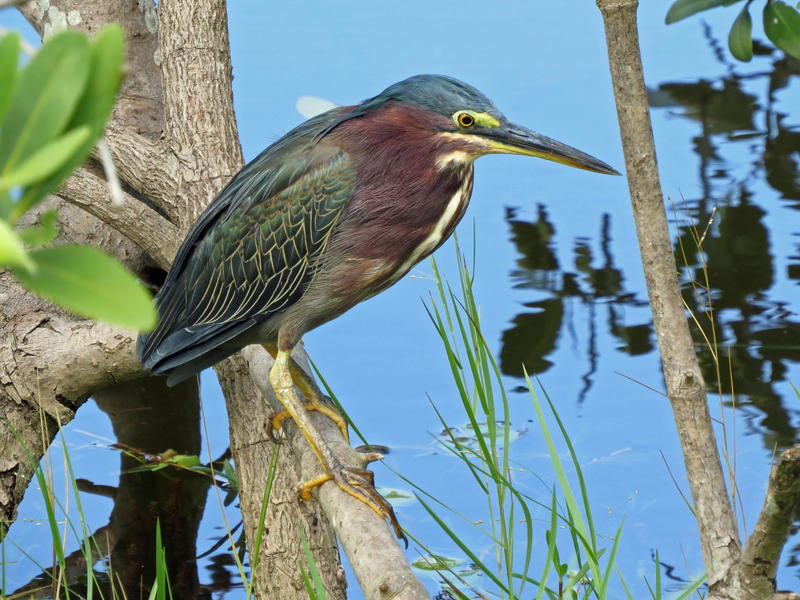 The Green Heron is my favorite too. I’ll tell him when I see him again 🙂 He’s probably there all the time, but extremely good in hiding. Happy you came along David! Have a great weekend. Thank you kindly Eddie. Happy we’ve met too. These photos are so gorgeous. I particularly like the herons. Thanks Bruce. 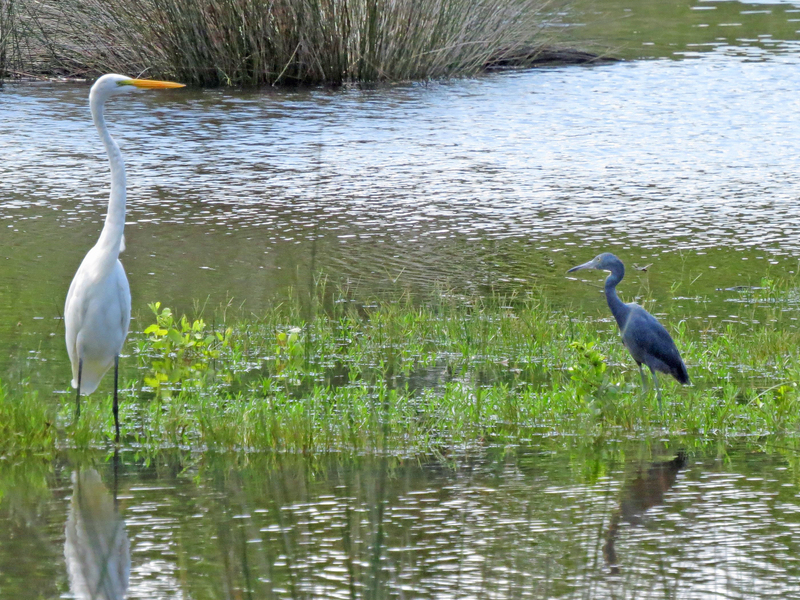 The herons are such gracious birds…and we seem to have almost all members of that extended family in this salt marsh. Happy you liked the birds. The diving shots were more luck than anything 🙂 Hugs to you too! Yes, I’m truly lucky, and appreciate it every day, lots of nature close by and still close to “everything” we need. Thanks for this amazing walk! Lots of celebrating going on here, how wonderful to see! The birds were clearly happy for the rains…and we’re still getting more. That marsh has a lot of fish so it’s nice to see the water levels properly up now after the summer. And your images are spectacular! Beautiful pictures, as always. With the air turning decidedly colder up my way I was somewhat jealous of the birds who could still swim about in the still comfortably warm water. You pix are incredible! A feast for the eyes! Stunning shots! Have you noticed the follow icon is missing on everyone’s posts? Thanks Cindy. I tested a few sites I do not follow and saw that the “follow” icon that used to be at the top of the page after “my sites” and “reader” is no longer there. Instead it pops up at the lower right corner after a little while on the site.